After months of deliberation, Google has selected the winner of this year’s Doodle 4 Google contest. 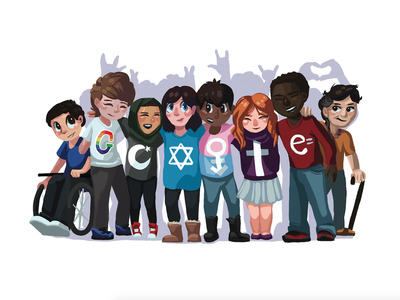 The annual event, which lets students in grades K-12 put their own spin the logo on Google’s homepage, launched in September. Harrison’s Doodle is live on Google’s homepage starting Friday, and she’ll also receive a $US30,000 college scholarship and a visit to Google’s Mountain View headquarters to meet with the Doodle team. Her high school will receive $US50,000 from Google to spend on technology for the school. Google also named finalists in each of its four other age groups (grades K-3rd, 4th-5th, 6th-7th, and 8th-9th). Those finalists will receive a $US5,000 college scholarship, as well as a trip to Google headquarters and a Chromebook.